This entry was posted in news and tagged MINI Canada motorsport on May 16, 2014 by James Day. This weekend begins the 2014 Canadian Touring Car Championship season. 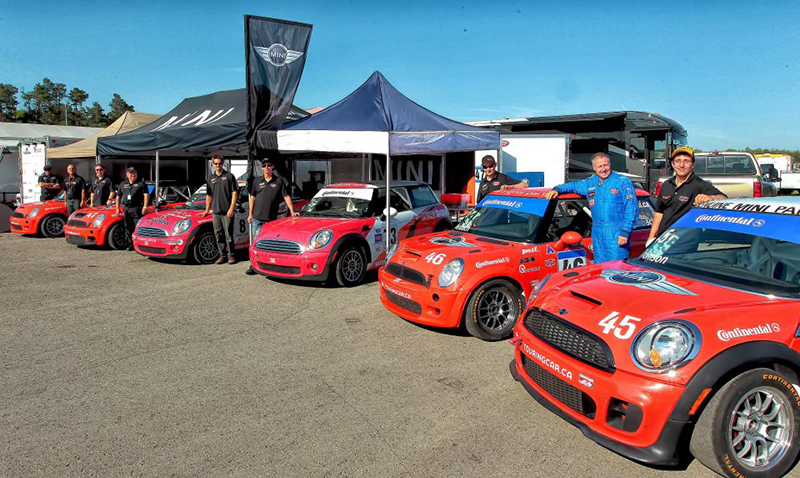 MINI teams compete in the Touring and B-Spec classes. In the Touring Class, Team Octane consists of six drivers: Eric Lacouture (#43), Carlos Tesler-Mabe (#44), Samantha Tan (#45), Michel Sallenbach (#46), Paul Gravel (#48), and Marie-France Gagné (#49). In B-Spec there is Stefan Yasin (#76) driving for Exclaim Motorsports. Canadian Touring Car Championship website and Facebook page. Download the 2014 CTCC Android App with Live Race Mapping, Record Book, Social Media connectivity, and more. Visit the Team Octane Facebook page. Visit Stefan Yasin’s Facebook page.